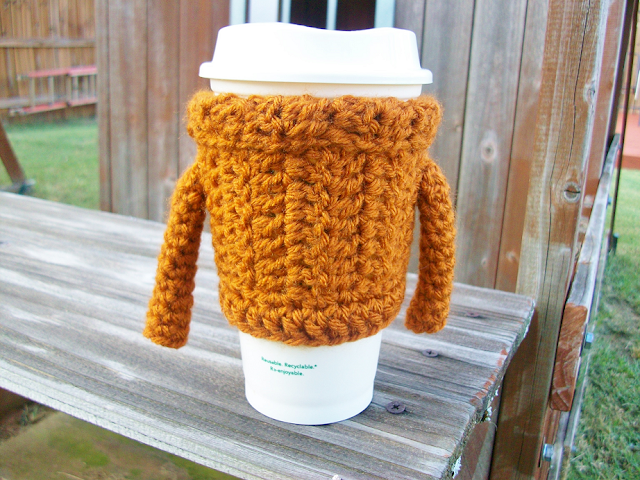 Today, Starbucks releases their famous pumpkin spice latte nationwide! In honor of the PSL I decided to make a PSL themed crochet pattern for you all. If you seen some of the promotions they've had for the pumpkin spice latte then you probably seen it wear an adorable pumpkin spice colored knitted sweater. 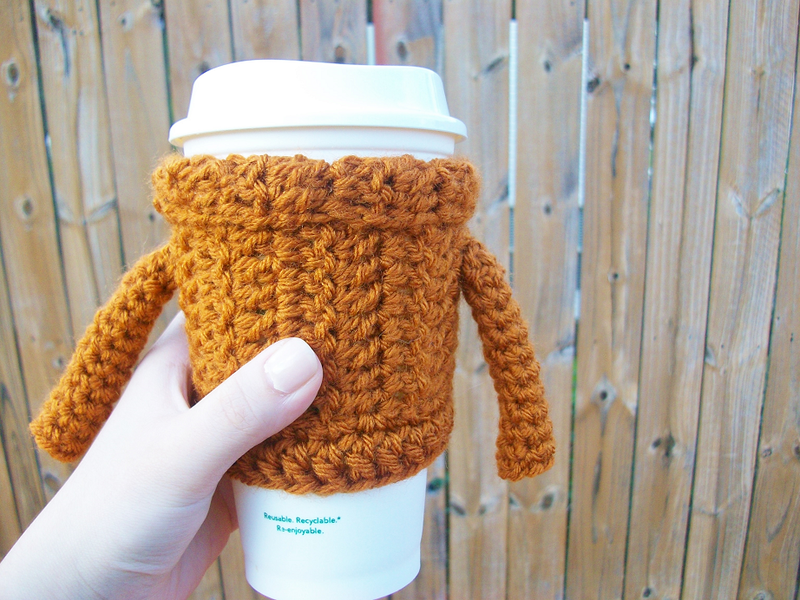 Well, today's DIY is inspired by the PSL's sweater! This is probably my all-time favorite crochet projects I've ever made! You can change up the color and personalize it however you want! 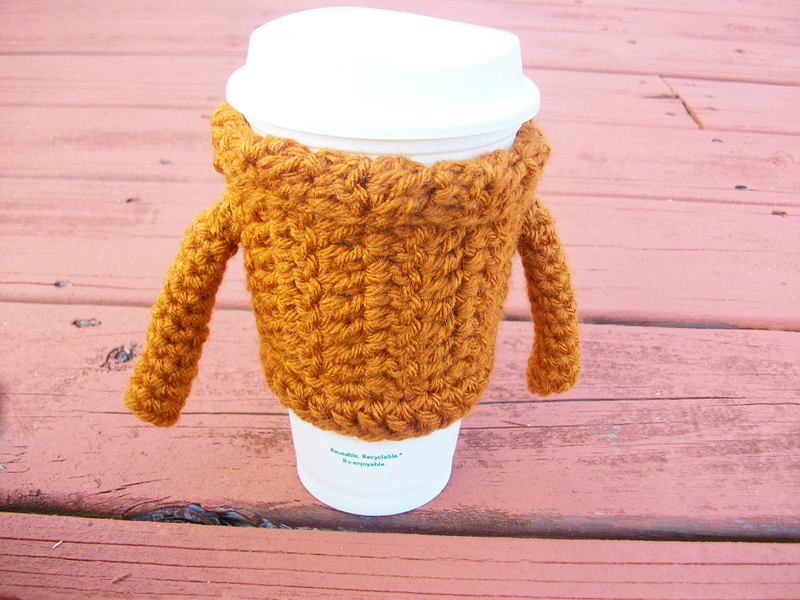 Next time you are at Starbucks grabbing your favorite latte you are going to want to whip our your own sweater coffee cozy to keep your coffee bundled up and cozy on a breezy autumn afternoon. 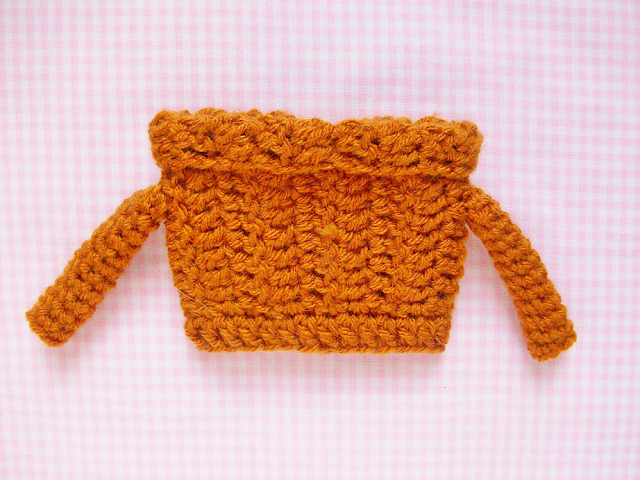 The pattern is pretty easy, a rookie crocheter should be able to make it. I played around with this pattern a bit. I used a double crochet stitch to create that faux cable knit sweater effect for the cozy. I originally wanted to knit this pattern but I'm not the best knitter so I went ahead and crocheted it, since it's what I'm better at. Let's get started! Now you have a long strand of yarn. Sew the sides together with needle by sealing the first and last rows. This will form a tube (the main part of the coffee cup cozy). Now to create the bottom part of the sweater cozy. You are going to insert your crochet hook on the bottom side (opposite side of the collar) and crochet 28 stitches using a single crochet along the bottom. 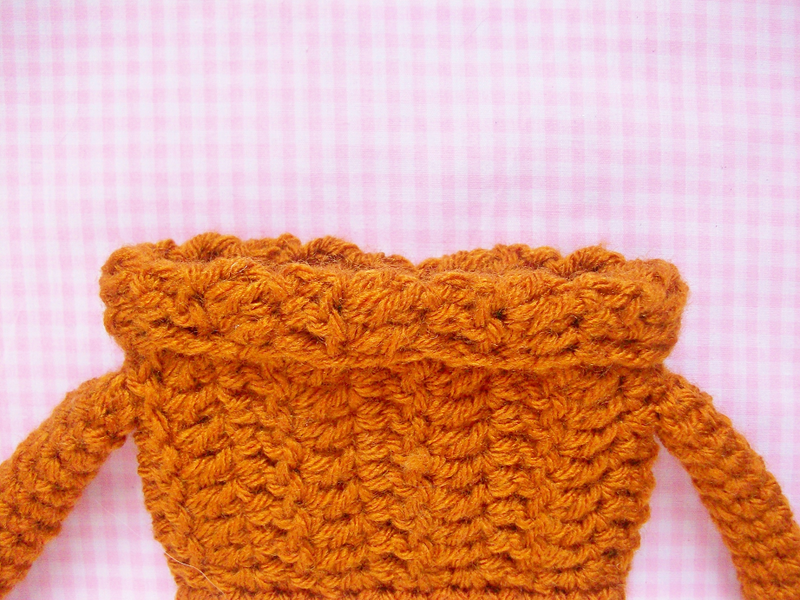 When you reach the beginning of the row go switch to a double crochet stitch and dc 28 sts. Cut off and weave-in any loose ends. Ch 6, sl st to first st to create a loop. 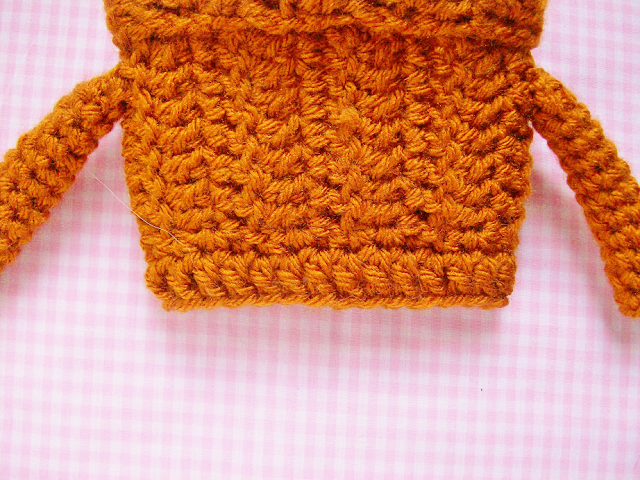 To assemble the sleeves weave the long string of yarn all the way to the top where you began (the rounded part). 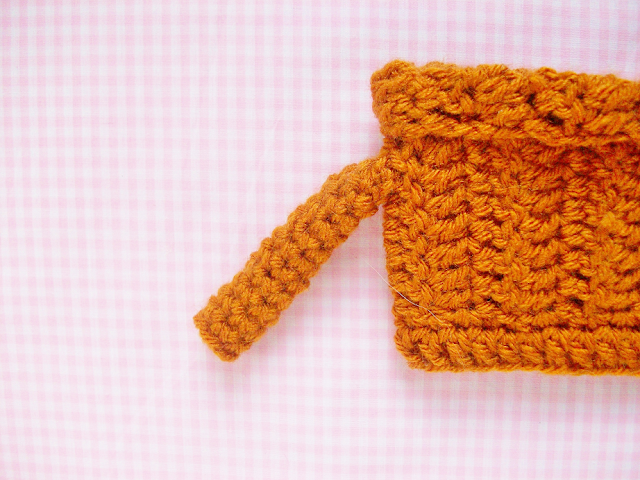 Sew one sleeve onto the part of the sweater directly one stitch under the sweater collar. Make sure no stitches are visible. Repeat on the other side with second sleeve.